Pink & White Throw Woven from 100% Isle of Skye Wool - Wild Rose. 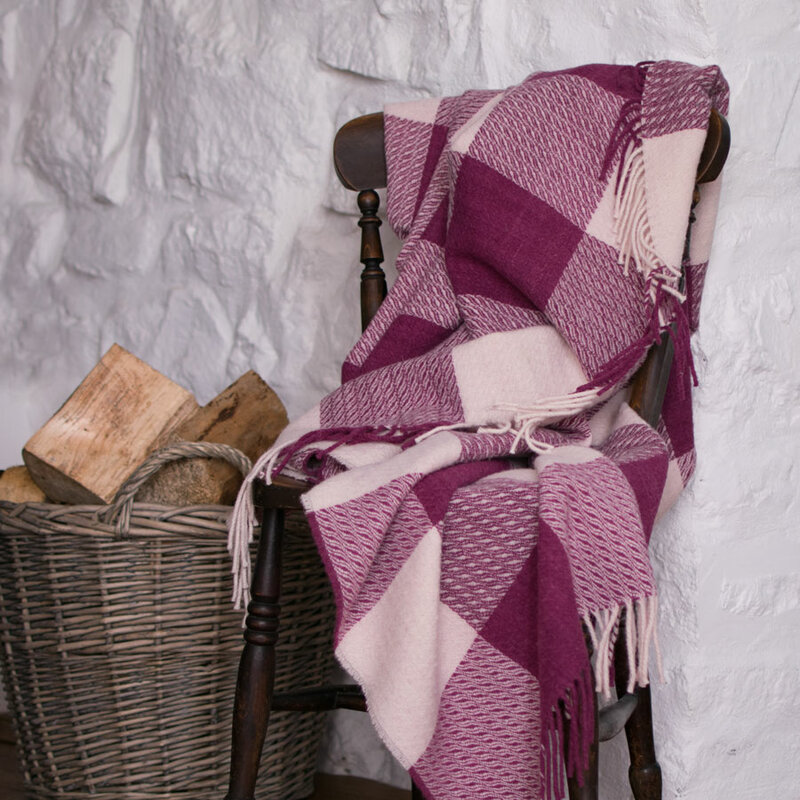 Woollen throw in pink and white, reminiscent of the beautifully curved leaves of Rosa rugosa, a fragrant shrub prospering on Skye despite the salty Hebridean gales. 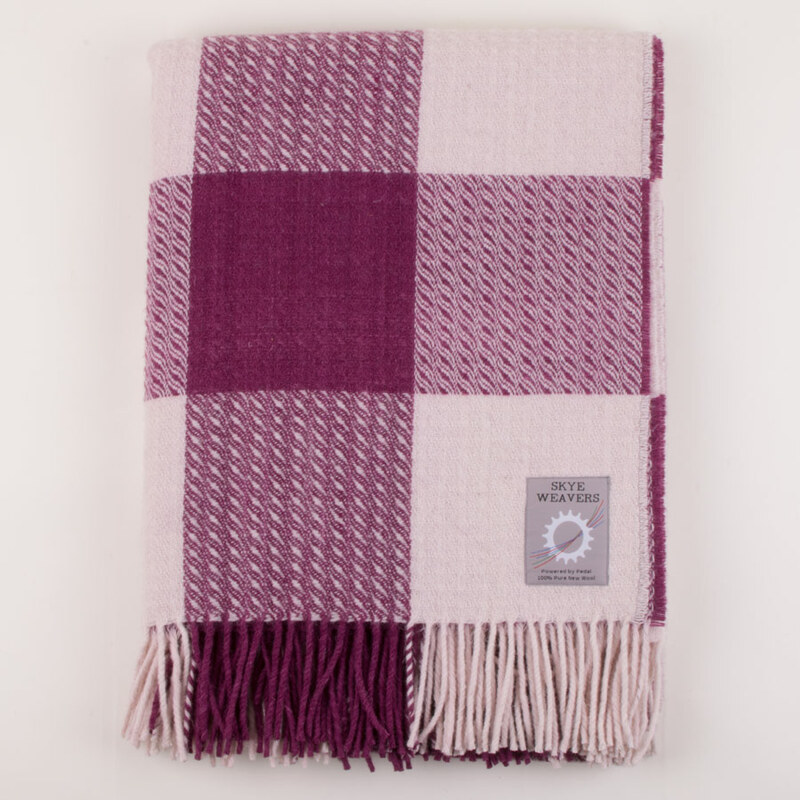 These throws are made from 100% Isle of Skye Wool. 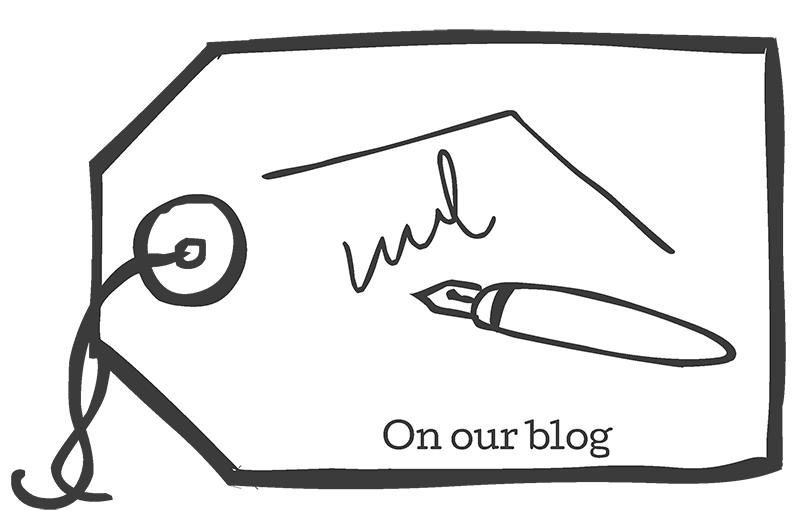 We select the best quality fleeces from local farmers to turn into a special yarn to weave a limited range of Skye Wool products. 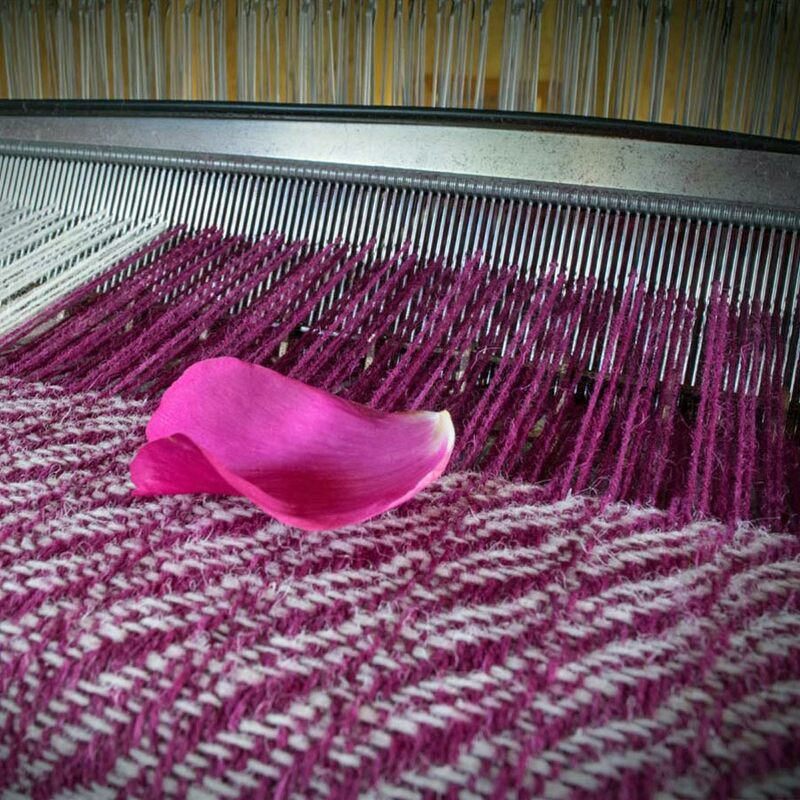 The pink colour is naturally dyed in Waternish on Skye. 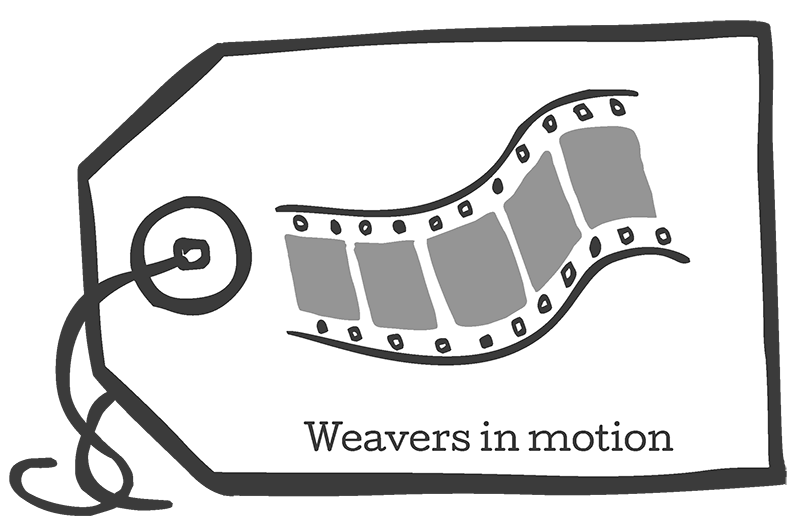 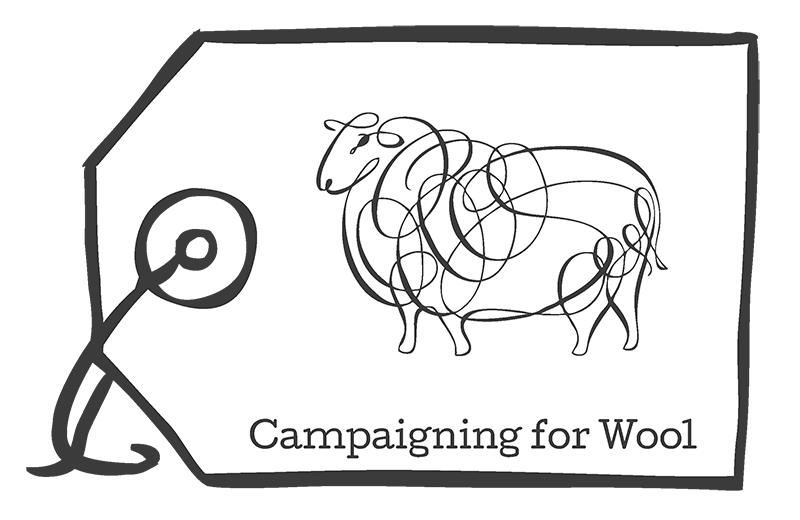 It gives us great satisfaction to work with local wool and be involved with the whole process, from sheep to loom. 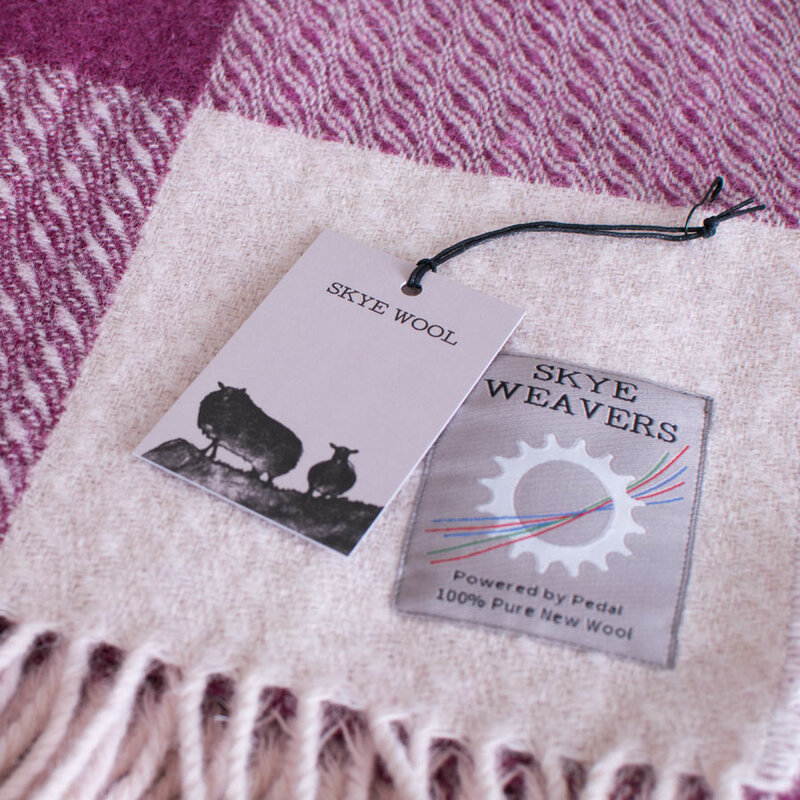 We hope you enjoy feeling the essence of the island in our Skye Wool creations. 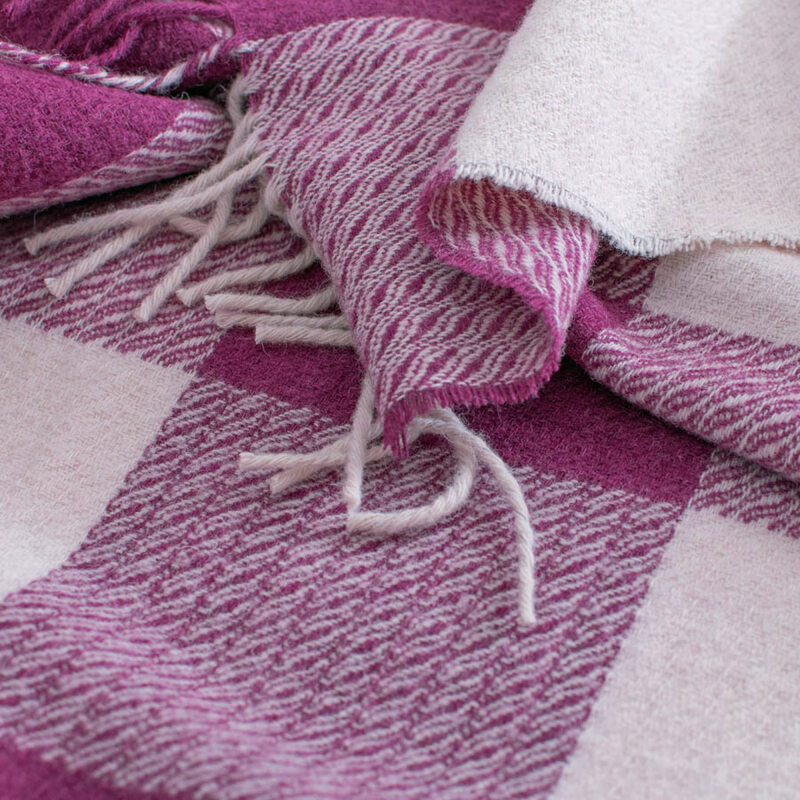 Find out more about our Skye Wool collection here.